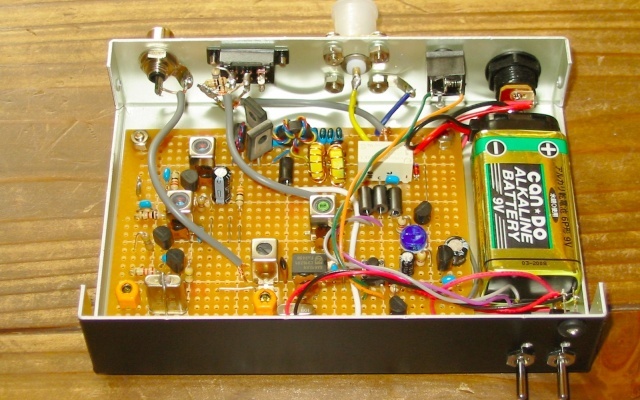 Here's a 1-watt 17-meter cw transmitter that was originally done about 10 years ago as a club project for RAMS, the Radio Amateur Megacycle Society. It uses a VXO, rather novel at the time. An 18.1MHz spot frequency CW transmitter of 1[W] output power is described. It features class-C push-pull power amplifier followed by two-stage LPF with 3rd order harmonic trap. Ain Sebaa is one of the ST Microelectronics manufacturing site in Casablanca, Morocco, where BD135 used in this TX might be fabricated.